#blacktourmaline + #clearquartz is one of the most powerful #crystalhealing combinations. I use it over my #crownchakra to cleanse and clear my connection to Source. 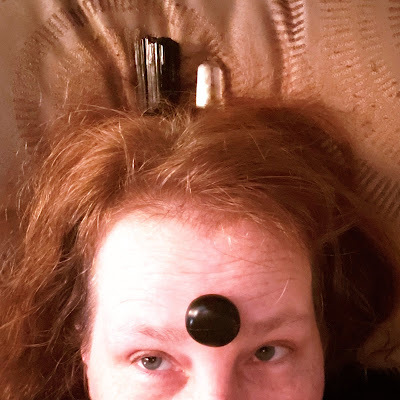 And the #shungite on the #thirdeye is to reverse the damage of looking at #electronicdevices.